Father God, how blessed are we to see another day and another week. Thank You, for Your hand of blessedness upon each one of us. Thank You, for bringing us through. 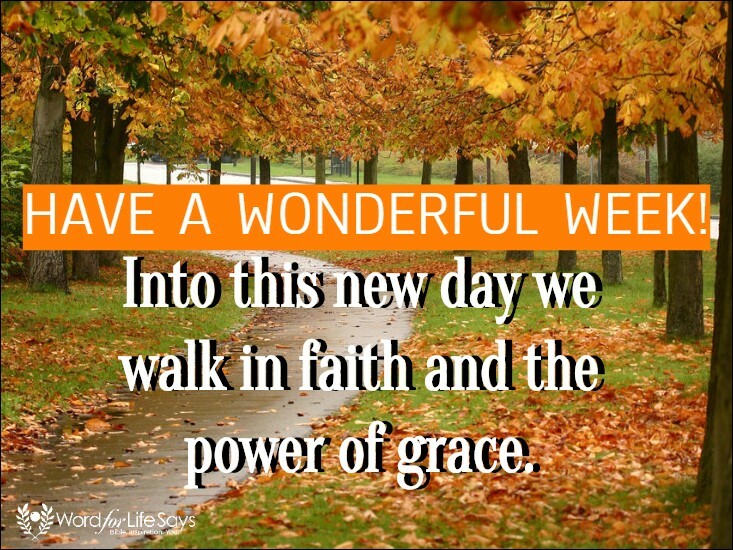 We are determined to walk into this new day and new week in faith and in the power of Your grace in our lives. Strengthen us where we need to be strengthened and build us up where we may be lacking. We want to use the time that You have given us to the best of our abilities and we need Your wisdom, leading, and direction in our lives. Thank You for hearing us when we call, and we already count in done in Jesus’ mighty name, AMEN!